Sometimes long held dogmatic assertions, although erroneous, are the most problematic to overcome. The teaching concerning the Kingdom of Heaven and the Kingdom of God has baffled dedicated students of the Bible for decades. Here are two of the most widely held definitions. A. Definition for the Kingdom of Heaven: the earthy, physical, visible, Jewish, Messianic kingdom promised to Israel both in the past and future. This kingdom will be consummated upon the earth on the Day of the Lord. The book of Daniel among many others foretold of this kingdom. B. 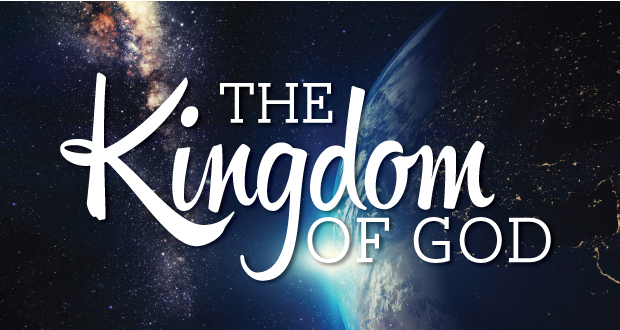 Definition for the Kingdom of God: the spiritual and moral kingdom that cannot be seen because this kingdom is within believers. The spiritual elements are righteousness, peace, and joy in the Holy Ghost. The books of Luke and Romans define this kingdom. 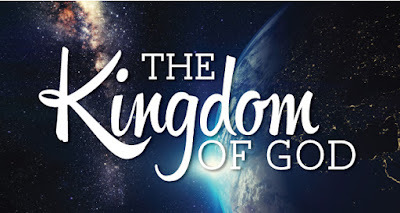 Those who recognize the differences between these two kingdoms teach that God took the physical kingdom (Kingdom of Heaven) from the Jews and offered a spiritual kingdom (Kingdom of God) to the Gentiles that is entered by a spiritual rebirth. This is certainly all true! Yet, there is a problem with the dogmatic assertion that the Kingdom of God is a purely spiritual kingdom and only within all believers. The following seven proof texts teach that people receive the Kingdom of God and go into it, see it, sit down in it, drink and eat in it, and inherit it—hardly something limited to a spiritual kingdom. Luke 22:15 And he said unto them, With desire I have desired to eat this passover with you before I suffer: 16 For I say unto you, I will not any more eat thereof, until it be fulfilled in the kingdom of God. The next passage reveals why so many Bible teachers teach that the Kingdom of Heaven and the Kingdom of God are identical. In Matthew chapter 19, Jesus equated the two as equal when He spoke of the Kingdom of Heaven and then said “again I say unto you” as He repeated the same truth concerning the Kingdom of God. Matthew 19:23 Then said Jesus unto his disciples, Verily I say unto you, That a rich man shall hardly enter into the kingdom of heaven. 24 And again I say unto you, It is easier for a camel to go through the eye of a needle, than for a rich man to enter into the kingdom of God. The controversy surrounding this teaching and the vitriol spewed toward those who take differing positions are indicative of the problem with all Bible teaching—including dispensational teachings. If truths were easily grasped by all, there would be no controversy; and we would all probably build one tower of babel, thinking that our understanding of truth was something pleasing to God. Yet, maybe it is the Lord that finds it necessary to scatter us so that no individual has a corner on the truth or gets placed upon the pedestal. The Kingdom of Heaven versus Kingdom of God is one of the controversies that we hope we can help the body of Christ grasp by offering some semblance of reasonableness in this book.